Automating an office’s accounts payable system speeds document processing to help facilitate cash management and cut costs. On average, it costs at least $20 if an employee processes just one invoice by hand. Add up those figures to factor in the dozens of invoices a company deals with in a month, and you’re dealing with a hefty expense. Cloud storage and accounting software can actuate efficient record keeping and research for your financial team. Accounting staff can virtually append invoices to approvals, and link purchase orders for checks. 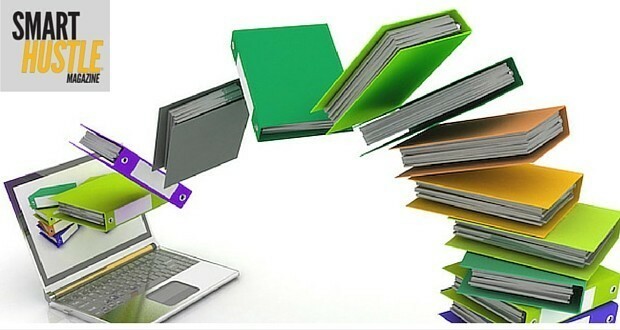 Most paperless accounting software also works to speed verification and research. Ultimately, paperless documentation expedites back office processing and reduces errors to help improve productivity in this department from top to bottom. Since cloud storage can work across platforms, authorized employees can easily access files, even when working remotely. There is a whole new meaning to the phrase, “Did you get the memo?” when a memo can be sent via an instant messaging application. Instant messaging platforms, along with email servers, have made it easy for management to send and receive information almost instantaneously. Document sharing is another tool that gives your staff a sense of immediacy, which was lacking when edits and research were restricted to paper formats. Google Drive, for instance, permits a workforce to share and edit documents, schedules and spreadsheets in real time, with a function that tracks changes —and the users who made them —within each file. Employees save time because they no longer have to interrupt their workflows to communicate information — or edit, print and deliver files. It’s becoming increasingly difficult for entrepreneurs to ignore the benefits of reducing paper consumption in an office setting. From a technical standpoint, employees have to spend less time printing, filing and sorting paper documents, so they can maximize their workday while also cutting cost. On a more personal note, paperless practices help foster a less-strained and stressful work environment for staffers who experience a boost in productivity and purpose when they’re not waiting for someone to unjam a printer. Pete Ransome is the President of FileSolve--an industry-leading provider of electronic document services and solutions, such as AP Automation Solutions for a wide range of industries across the U.S. In 2014, Pete was inducted into the Association for Image and Information Management Company of Fellows as well as awarded the Distinguished Service Award.